Product #46546 | SKU BAA818SA | 5.0 (based on 1 rating) Thanks for your rating! 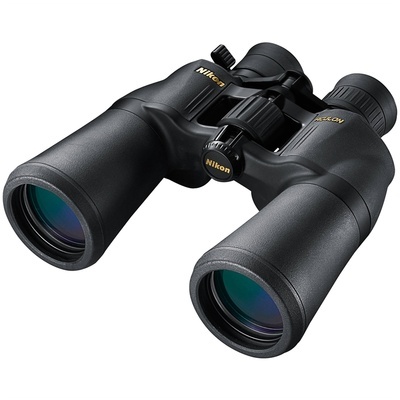 Also new to the 2013 version of the Aculon binocular is a sculpted rubber-armoured housing that is designed to fit comfortably into the observer's hand and provide non-slip handling. Grooved ridges atop the housing and a generously-sized focusing wheel enable adjustments to the interpupillary distance and the point of focus even while wearing gloves. The lever located next to the right eyepiece puts control of the 10x to 22x magnification range at the observer's fingertips. The combination of image quality and user-friendly design make the 10-22x50 Aculon A211 a cost-effective option for intermediate to long-range glassing.